Though it’s been dead for well over a decade, the Lincoln Continental remains a favorite among consumers and brand enthusiasts. So much so, in fact, that the word on the street is that Lincoln’s planned flagship sedan is being internally identified by the very same name and could come to market bearing that well-known moniker. With Lincoln seemingly resurgent, that seems like a recipe for all things that are good. If we could put in one simple request: whatever you do, try to make it look like the beautiful 2002 Lincoln Continental concept. Those looking for an old piece of Lincoln, one which has a decidedly modern touch and keeps the legacy of that name in good standing should consider keeping an eye on the 2002 Lincoln Continental concept, which will be going to auction as part of the Sam Pack Collection during RM Auctions’ November 14-15 event in Dallas, Texas. 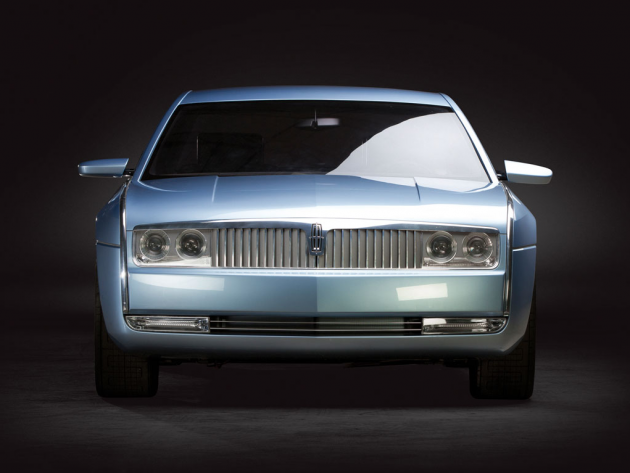 The 2002 Lincoln Continental concept debuted that same year at the LA Auto Show, and for a brief and shining moment, there was hope that it might get built. That it was never given a chance to live is a shame, because this thing is a retro-futuristic beauty, not even mentioning the powerful 414-horsepower V12 engine under the hood. Oh, and did we mention suicide doors? Because, yeah, suicide doors. The 2002 Lincoln Continental concept was last put on the block at RM’s Monterey auction in August 2010, where it sold for $56,100 (that’s what you might call a steal). It’s being auctioned now with no reserve price.